Organic School gardens now in Prescott Russell!!! 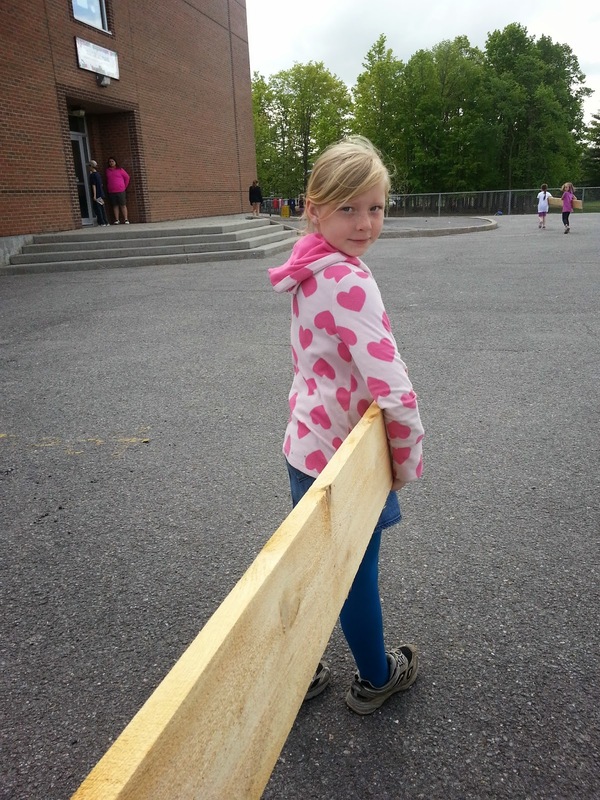 The students at Rockland Public School have been hard at work to plan and build there very first school based garden. 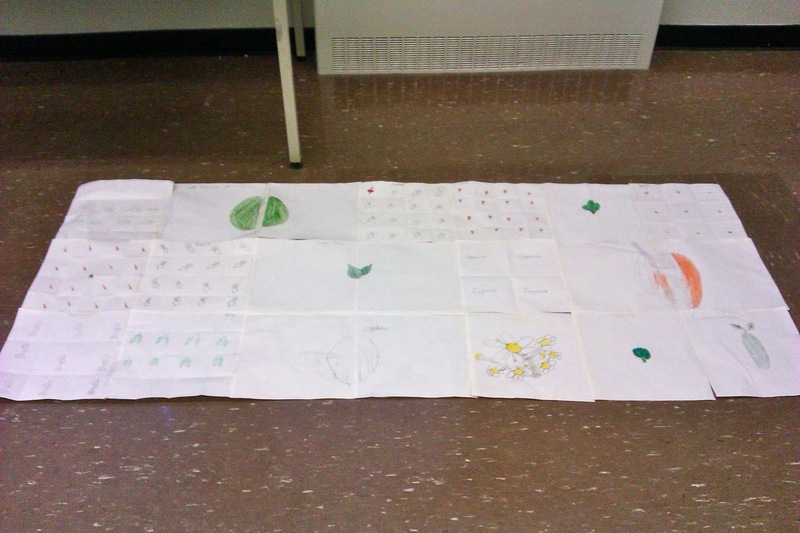 The Grade 3 students have participated in a planning workshop and have put together a map of the kinds of yummy and healthy vegetables that they will be planting this week. 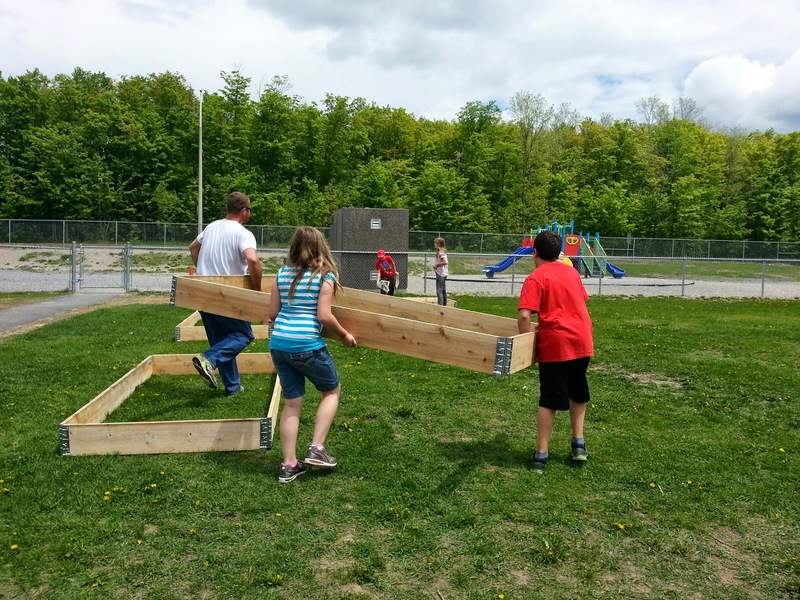 The grade 6 students helped to build the garden beds and the Grade 1-2 students also participated in some planning workshops. Stay tuned!!!! These kids are all smiles! 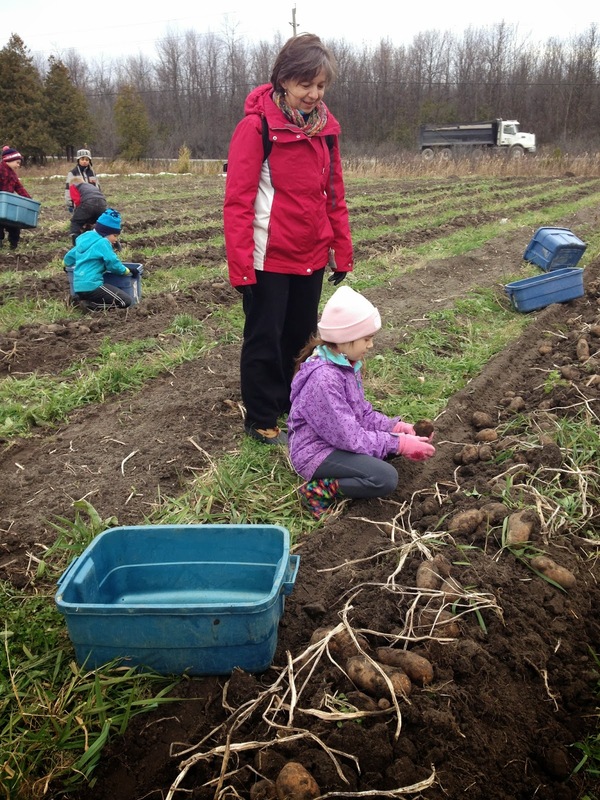 Our garden workshop season is in full swing in Stormont, Dundas and Glengarry! 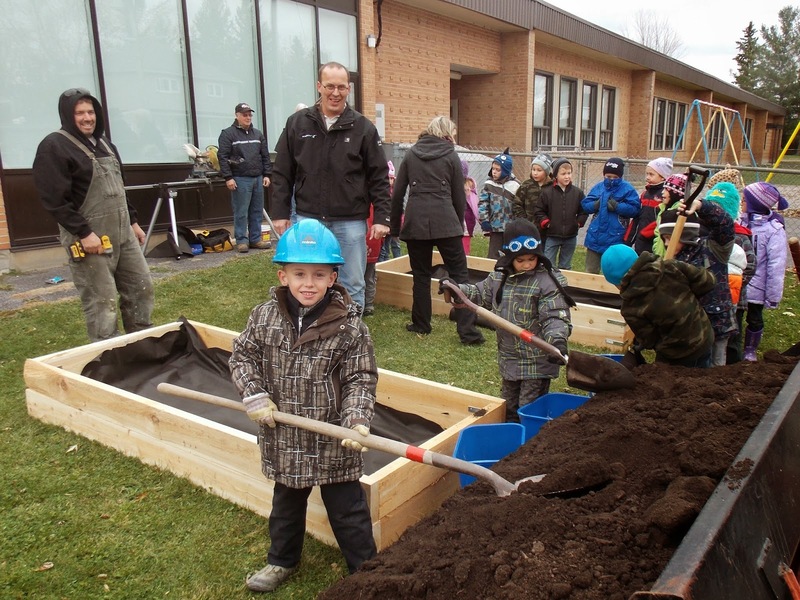 We started planning garden layouts at the beginning of March with students in Crysler at École élémentaire catholique Notre-Dame-du-Rosaire. Plan for the grade 4/5/6 garden in Crysler. Students used companion planting principles to design a garden that will resist pressure from pests, attract beneficial insects, and share soil space and nutrients well. After learning that plants need space students were careful to indicate seed spacing on the plan so that they could remember that some of the tiny seeds we'd be planting will become large plants! Since last fall, our partnerships with schools have expanded and we are thrilled to welcome two new schools to the GUO family: the Akwesasne Alternative School and North Dundas District High School! Spring is here! 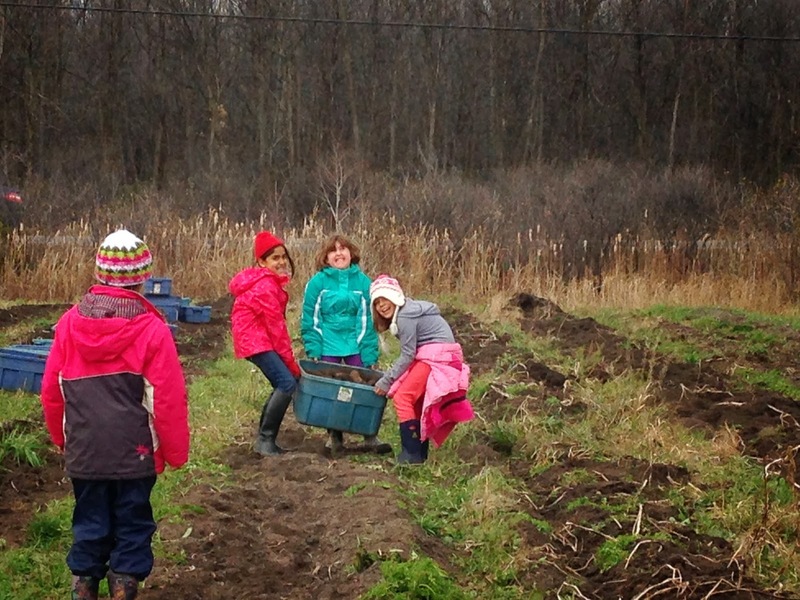 A new garden for Kanata Research Park Family Centre! 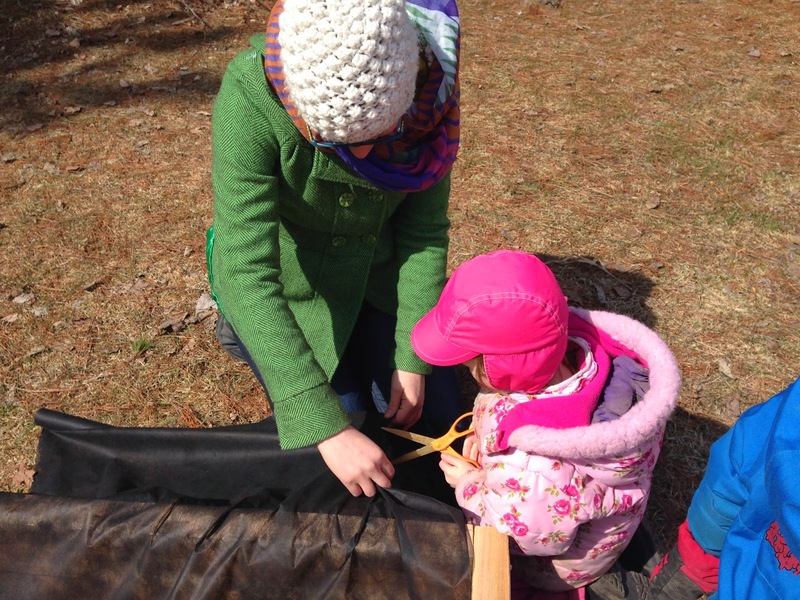 It seems like spring has been such a long time coming....we could barely contain our excitement when the school garden building season finally arrived! 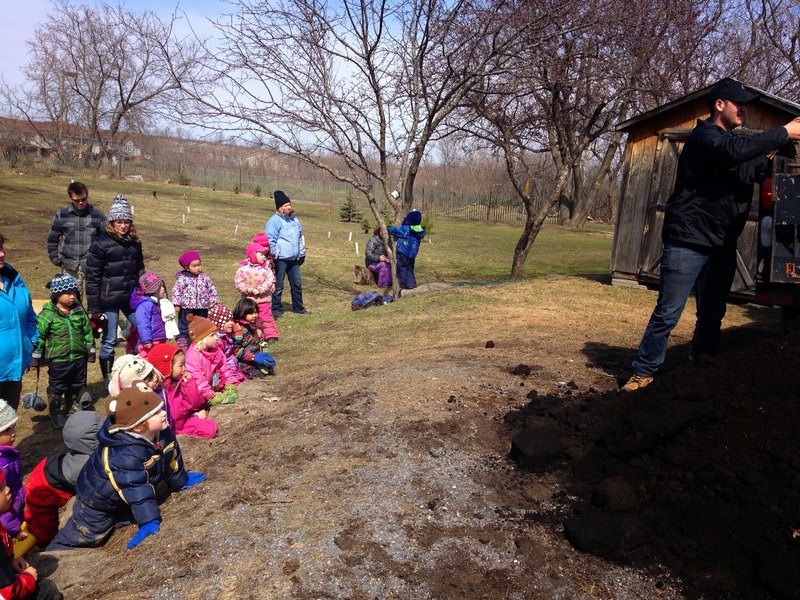 The newest addition to the Growing Up Organic family is the Kanata Research Park Family Centre, where it's tiny attendees now have a organic garden addition to their beautiful site thanks to their hard work (and a little help from dad!). 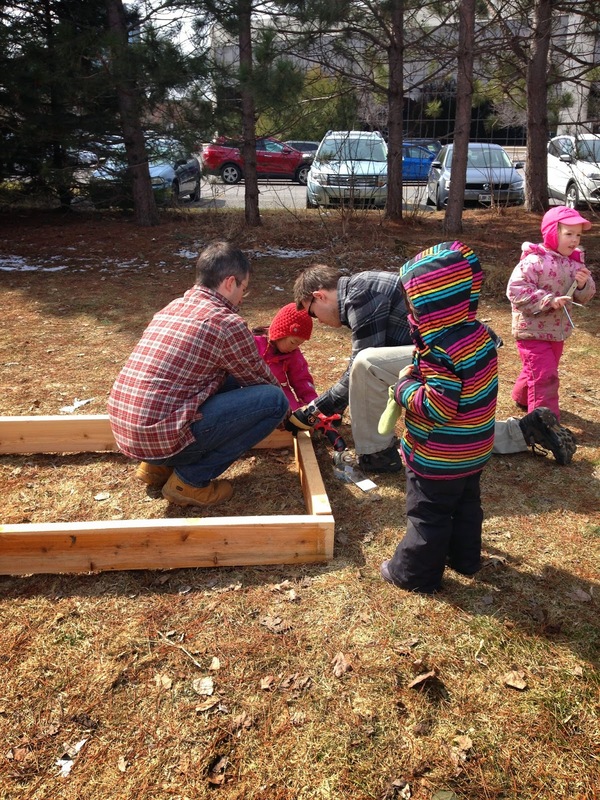 On Thursday, parent volunteers and staff at Kanata Research Park Family Centre set to work building three new raised beds for children in their pre-school program to enjoy. Little hands were eager to help! When the soil arrived it was a very momentous occasion and captured everyone's attention! We didn't waste any time loading the new beds with mini-wheelbarrow loads of rich black soil, with lots of help from adults with big wheelbarrows too! In a week or two it will be time for planting! Potatoes, sunflowers, beans, peas.....we can hardly wait! 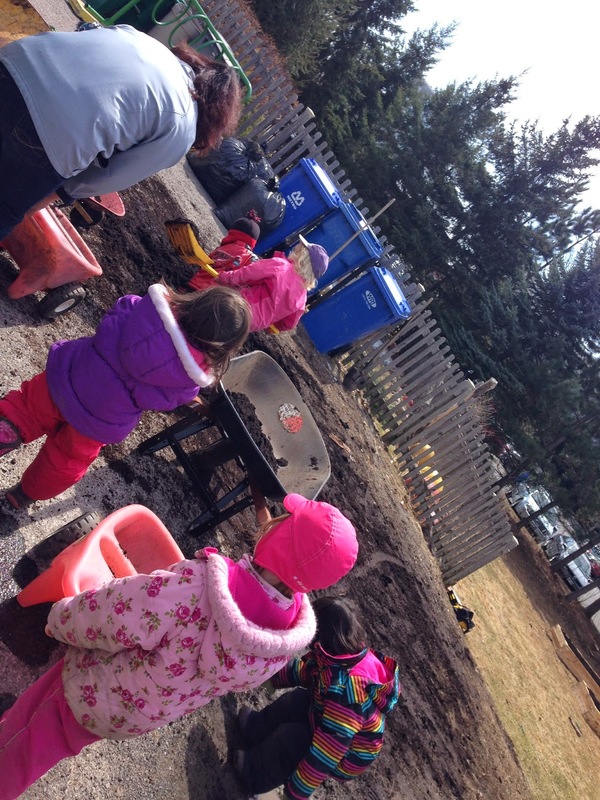 Thank you to the parents, staff and children at KRPFC for a wonderful day building the first new garden of the season! 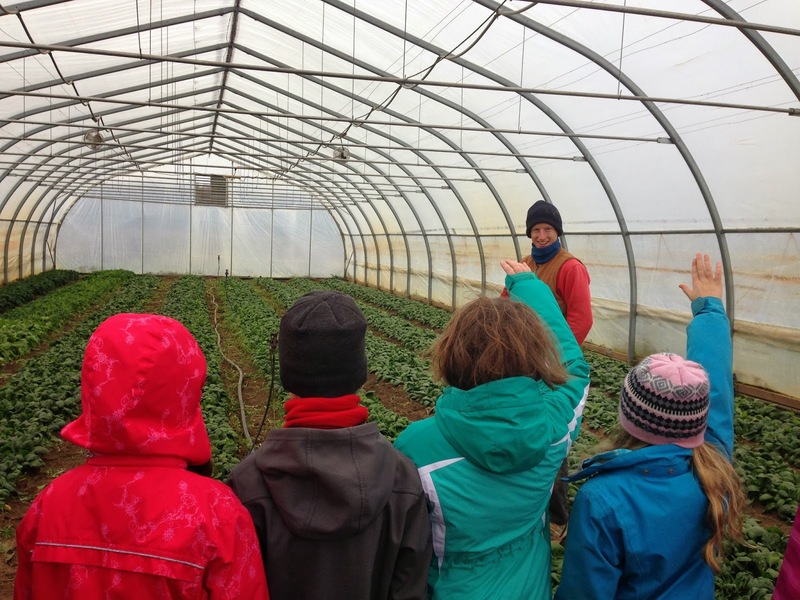 We were lucky with the weather on November 6, 2013 when a group of 25 grade three students from Devonshire Public School came for a Growing Up Organic Farmgate Café field trip to Castor River Farm. The students got off the bus and were ready to pepper farmer George Wright with questions. 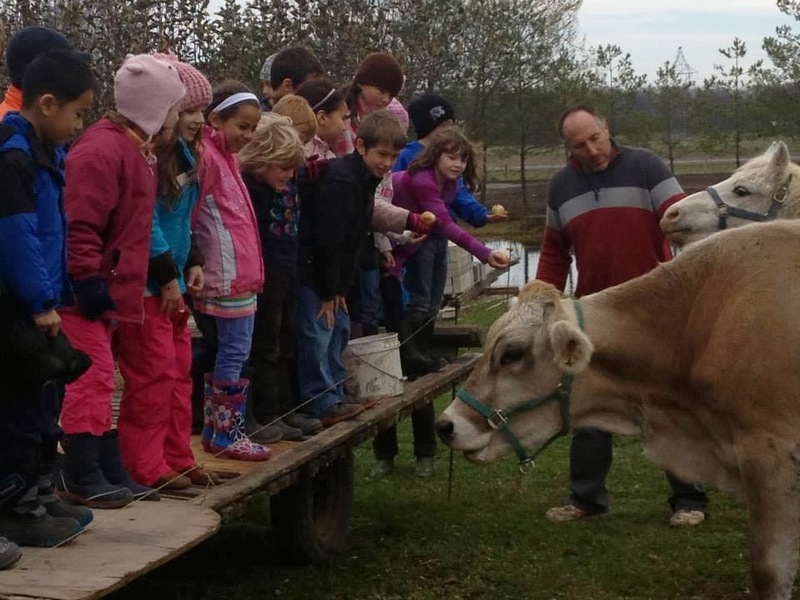 Castor River Farm is primarily a grain farm, organically raising a diversity of seeds and grains. Most grain farmers (whether organic or conventional) produce on a much larger scale, selling through brokers to a grain elevator to join in a complex supply chain which reduces the return for the farmer. What is unique is that George mills the grains himself and sells directly to the consumer at Farmers Markets! Just a few steps away from the bus we were introduced to an antique fanner mill. Oats out of the combine are not clean enough to sell. The fanner mill uses agitation, wind and gravity to separate out chaff and weed seeds, small or broken grains, etc. from the nice large oat seeds. Next we checked out a stationary tandem bicycle which powers a stone mill for grinding flour. In the spring a group of students from Fisher Park enjoyed milling flour. 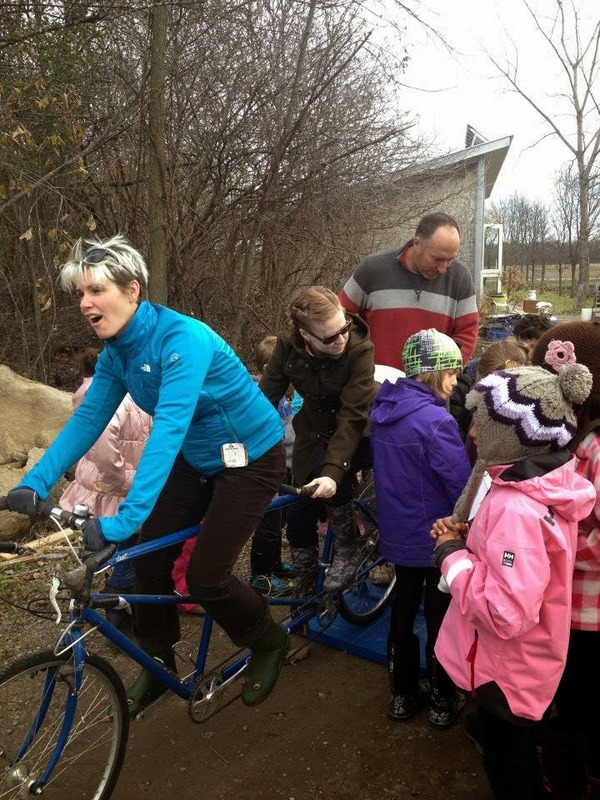 However, Devonshire's grade's were a wee bit too small to reach the pedals, so their teachers and parent volunteers had to get to work instead! The adults pedalled while the students cheered for enough flour to make brownies: “Gingerbread! Gingerbread!” This is surprisingly hard work, and it takes a long time to get any amount of flour! Then we got to meet some of the non-human characters on the farm, namely a workhorse, a pony and a pretty Brown Swiss Cow. We got up close and personal with the hens too, going into the henhouse to nab an egg or two! Students were very creative in naming their eggs: Sunny, Eggdar (instead of Edgar), etc. During this time, the students became aware that there was poop everywhere. So they were let loose on a field of fall planted spelt to see what poop they could find. What a perfect entry point for discussing crop diversity, crop rotations, keeping soil covered over winter and mixing livestock with crops! 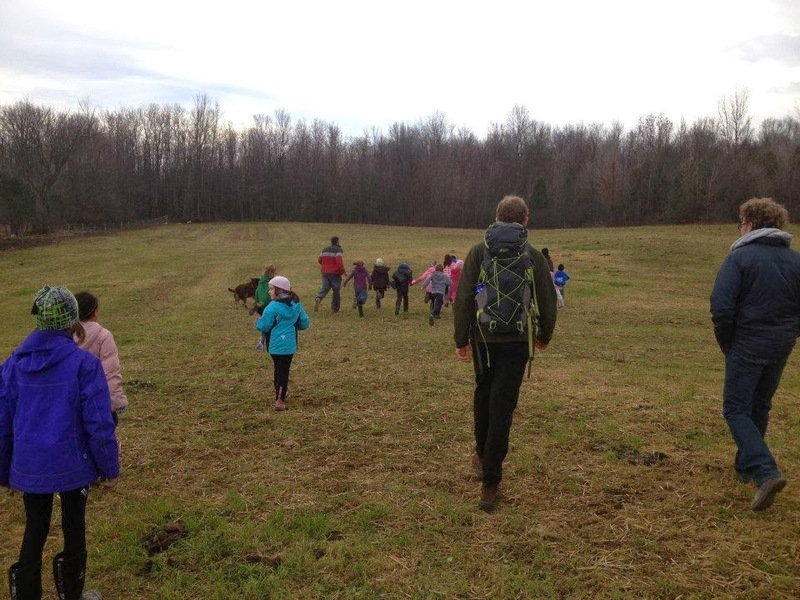 The field had been planted in September, and the horses, cows and chickens were allowed to graze on the new growth, giving them a little extra pasture in the late fall. In turn, the animals help fertilize the field with their poop. George showed us how wherever there were horse apples and cow pies, the spelt was long and green, compared to everywhere else. This is not from fertilizing....George was showing how the animals are intelligent enough to know not too eat near where they have defecated. Finally, we visited the pigs and threw them some wild apples – to the pigs’ and the students’ delight. George explained how he carefully chose his breed of pigs, English Large Black pigs, because they are hardy, docile and good rooters. The pigs (about 15 sows and their litters) had been on about 10 acres of pasture all year. Amazingly, there was hardly a single blade of grass left! The pigs had completely cleaned the field, while dropping their manure, and even rooting up a ton of stones for George to pick out. The field is virtually ready for next year’s crop and George has hardly had to touch it! 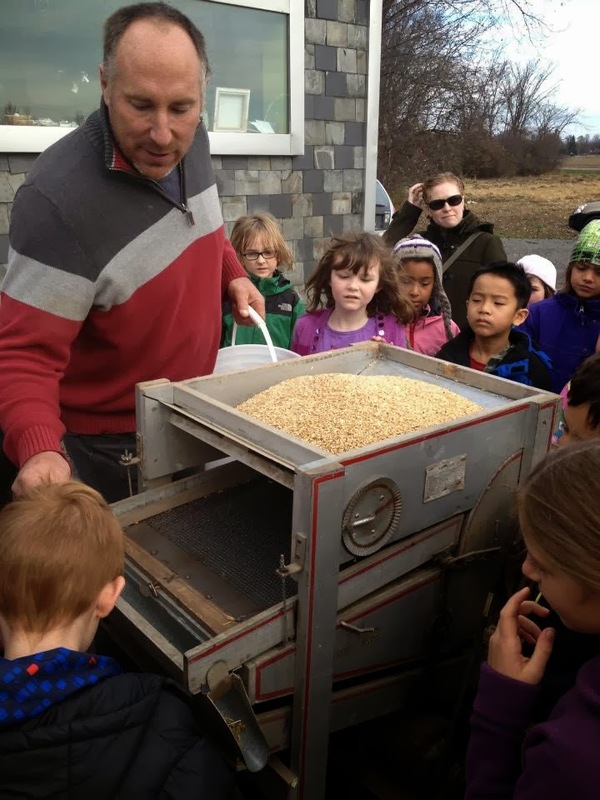 The teachers and parents collected about 30 pounds of rolled oats and freshly milled Red Fife wheat flour. 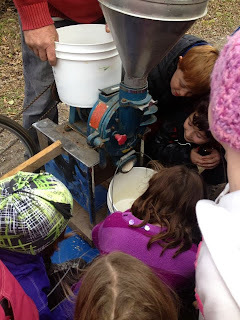 The students will use this to make bread to accompany the soup made from carrots and potatoes the rest of Devonshire’s grade threes were buying during their visit to Roots and Shoots farm at the same time. Thanks again, George, for being such a good host for these students. I can tell, you’re a child at heart too! Increased awareness of how organic fruits are produced wasn't the only thing students took away from Hildebrand Farms last month. They purchased some organic black raspberries and as part of Growing Up Organic's Farm-Gate Café program, participated in a follow-up cooking workshop this week. 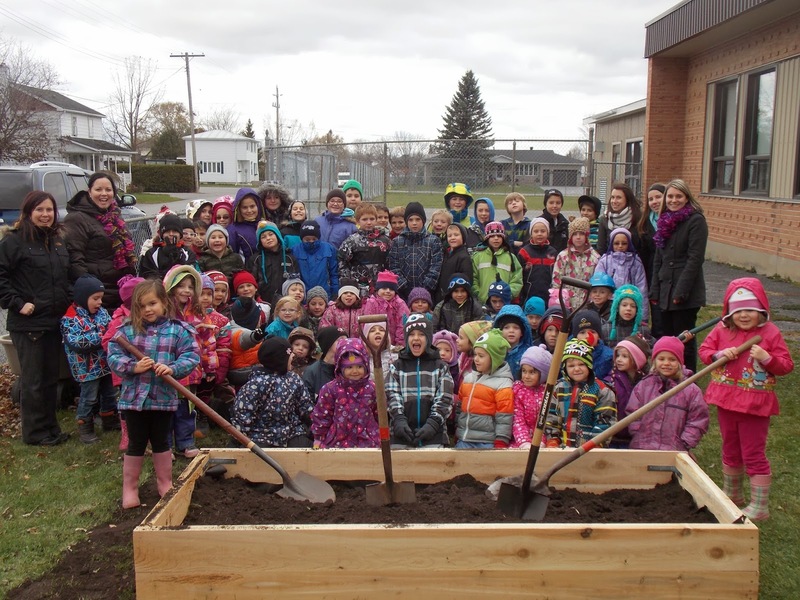 With the help of Jessica McLeod, a Registered Dietitian who works at the Seaway Valley Community Health Centre, students crafted their own healthy black raspberry vinaigrette. 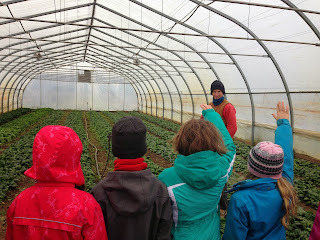 Early last Wednesday morning, Devonshire Grade 3 students braved the grey November skies and headed South of Ottawa to visit Roots and Shoots Organic vegetable farm. Once on the we met Robin Turner, the organic farmer himself, and Danny, one of his employees. Robin wanted the uniqueness of Roots and Shoots to sink in, so we started by playing a game, learning about the "Global Industrial" food system versus the "Local Sustainable" food system. Danny then took us on a small tour, showing us one of Roots and Shoots' large greenhouses. Swiss chard, spinach and dinosaur kale were all happily growing away and to our surprise, Danny and Robin can harvest these greens well into December, all thanks to the heat of the sun captured by the greenhouse! We then headed to the fields where the last potatoes of the season were waiting for us to be harvested. In no time at all we had buckets and buckets! Before leaving the farm, we loaded up a 50 lb bag of carrots to bring back to school. We thought about the average carrot and it's journey from farm to plate and how different it was from the organic carrots from Roots and Shoots. The carrots we were bringing back to Devonshire were grown without pesticides or other dangerous chemicals and were grown with care not a twenty minute drive from where they would be eaten. Roots and Shoots also sells directly to its customers - this means Robin gets a fair return for wares and speaks to his customers face-to-face ...Now we were hungry for carrot soup!